Recently an article in the Arizona Republic has stirred up a great deal of controversy in the housing market. In the next five to seven years, we will see prices back to levels we saw in 2005 after Many area homes dropped to one-third of their value. He also goes on to state that home values have risen 35% since the beginning of the year. As real estate experts in Arizona we felt it was important to add our thoughts to this well written article. Burns seems to have the right general idea. Home values did sink in 2006, and they did rise sharply at the beginning of this year while leveling off some after the first few months. The first area we differ with Burns is in the size of the crash and the recovery. Burns claims that home vallues in Arizona lost one-third of their value, however as Realtors who have lived through the crash we unfortunately know that number was far closer to 50% than it was 33%. We at The Reeves Team also take issue with how much of a bounce we received at the beginning of this year. 35% is a huge number. And we did receive a very large increase in housing prices, however his analysis seems a bit lofty. 20-22% is a much more accurate number, with the majority of that increase coming in the first three months. Despite the areas we disagree with Burns on, we do have quite a lot of common ground. Metro Phoenix home prices will continue climbing during the next few years. Demand for homes in the Phoenix metro area is strong, yet most experts are not concerned about home prices rising too fast and pricing out regular home buyers or investors. If you want to get a feel for whats ahead in our housing market, take a look at how many new housing developments are under production. New-home building has more than doubled this year, and the price of new houses is climbing. These newly built homes will excite the buyer bool in the next year as well. Boomerang buyers will lead this jump in housing values, buyers who purchase after waiting three years — as required under new credit standards — following a foreclosure or short sale. Read Also: Why Don’t Real Estate Agents Answer Their Phone? 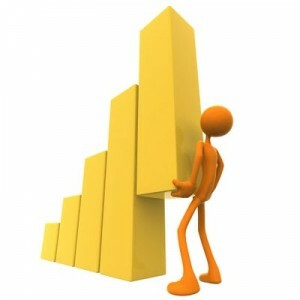 Low mortgage rates and strong economic growth will also help contribute to rising home values. At The Reeves Team we still have potential buyers calling on a weekly basis asking for a 90k, tile roof home. Those homes no longer exist, the bottom of the market hit at the beginning of this year, and it has been coming up ever since. So if you are waiting for the bottom of the housing market, you missed it months ago. Do you agree with these predictions? Leave your thoughts in the comment section below.